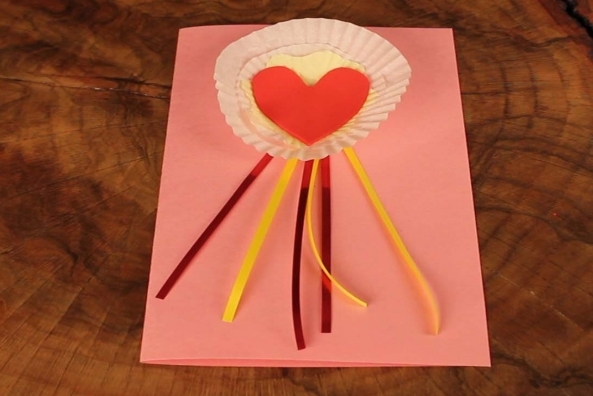 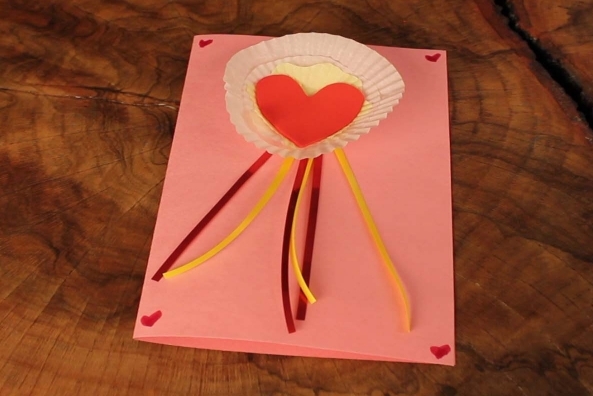 Give someone an award for being your Valentine with this neat ribbon card. 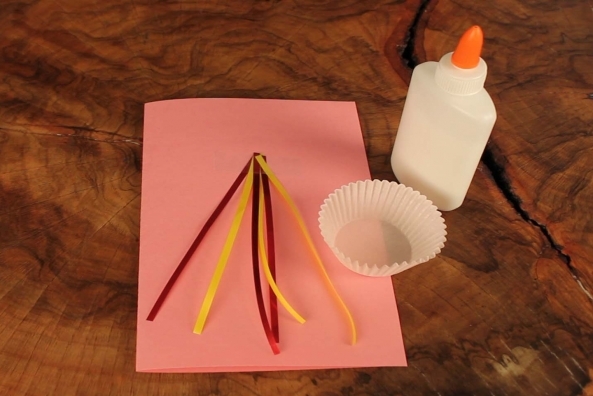 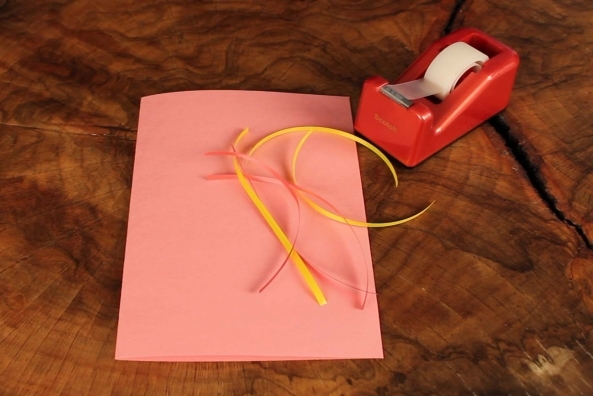 Grab paper, ribbon and craft foam to get started! 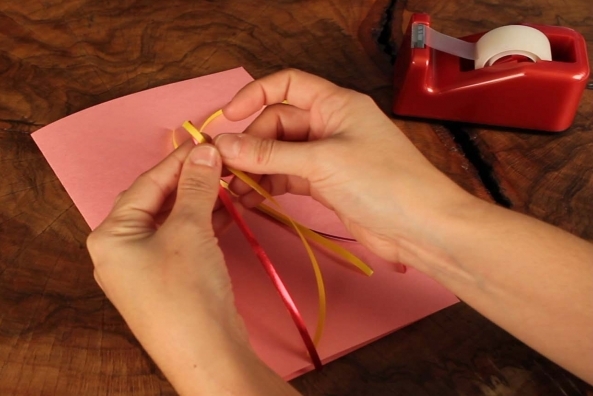 Have you ever received a ribbon for doing something great? 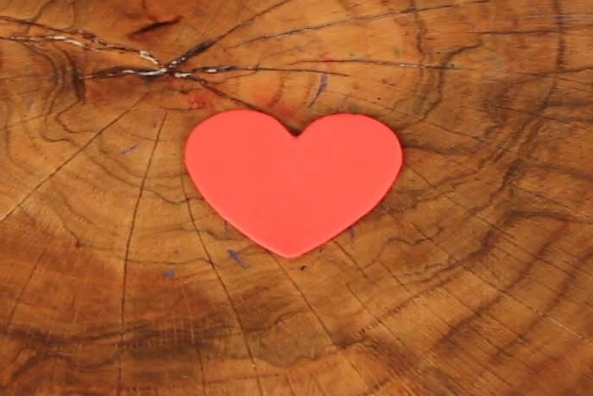 Cut a heart out from a piece of red craft foam. 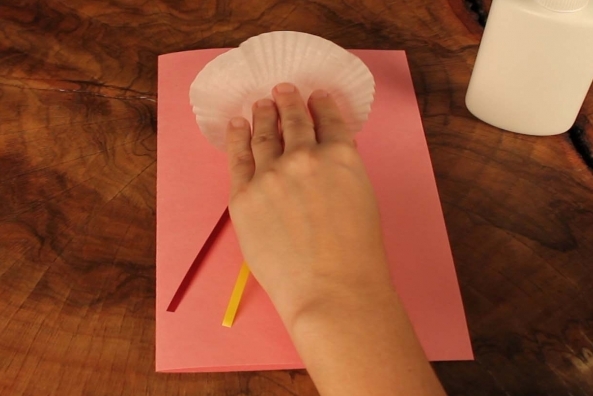 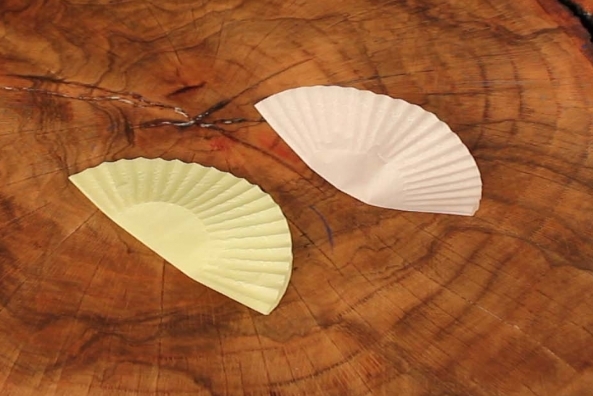 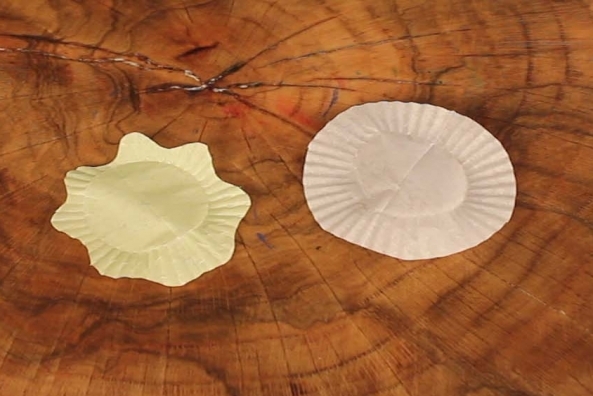 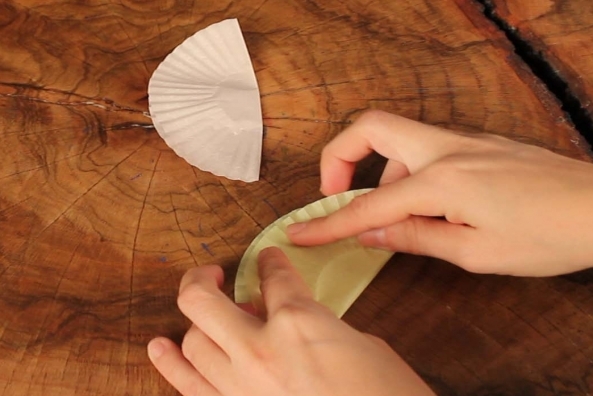 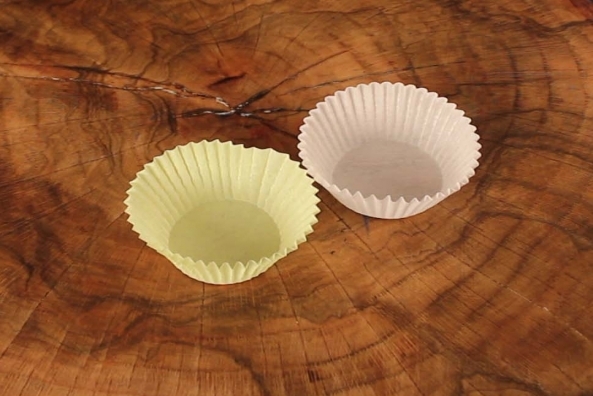 Fold two cupcake liners in half. 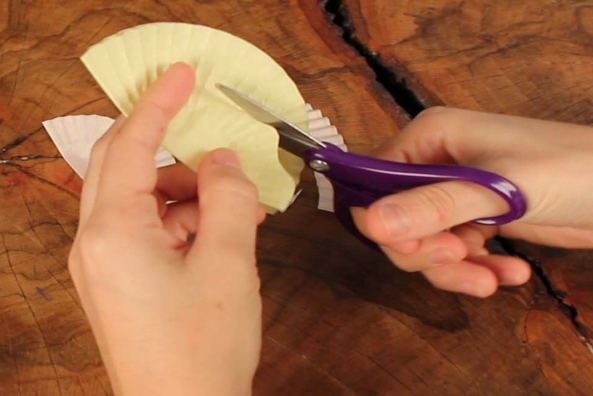 Trim some of the edge off to make it a smaller circle. 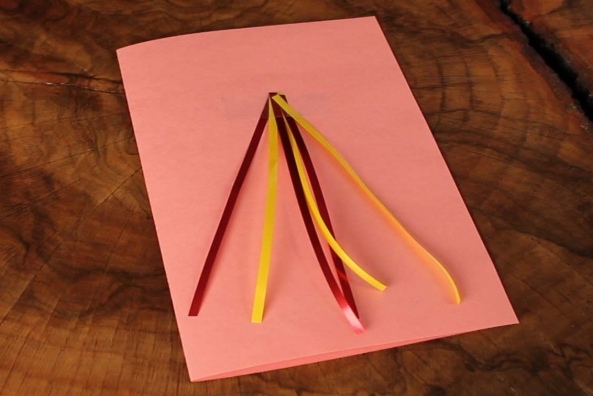 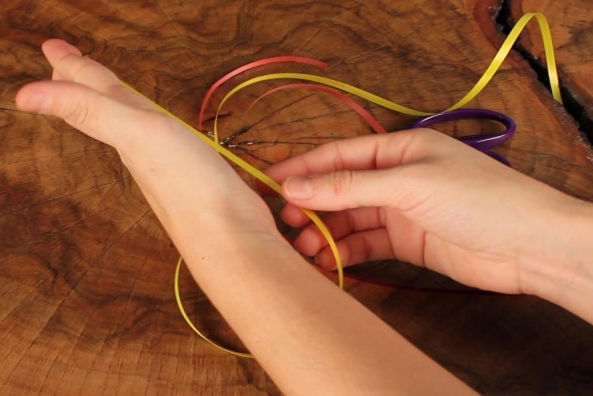 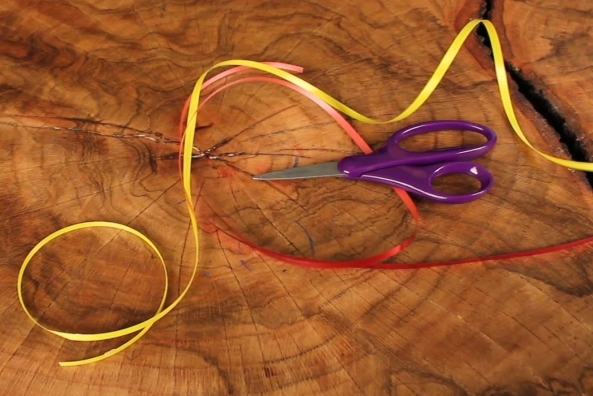 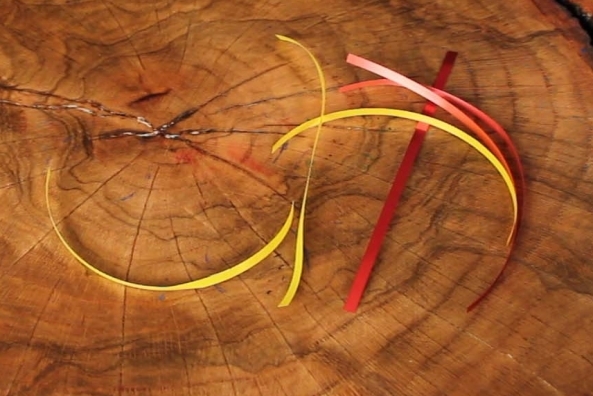 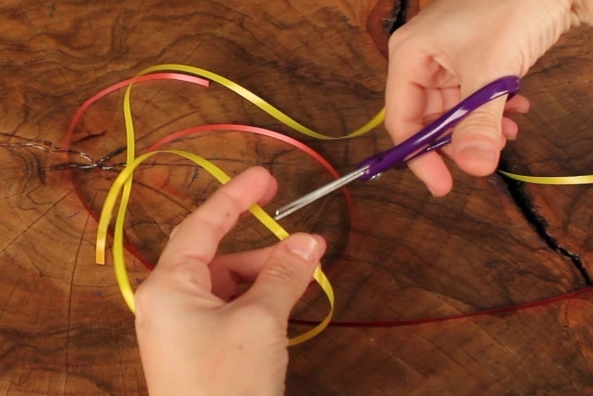 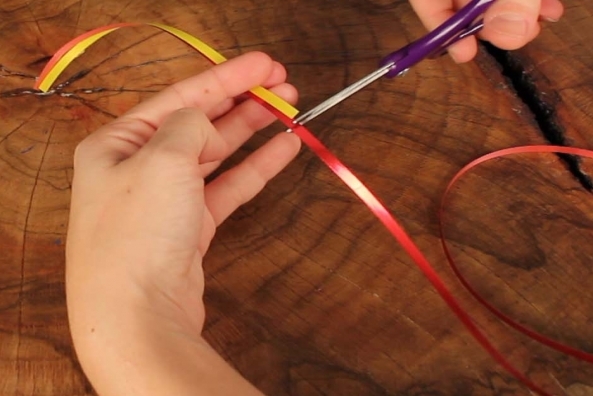 Cut a few pieces of ribbon the length of your hand. 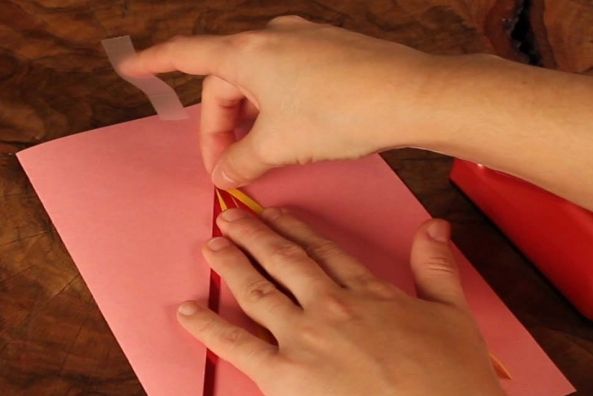 Tape a few pieces of ribbon in the middle of the the folded pink construction paper. 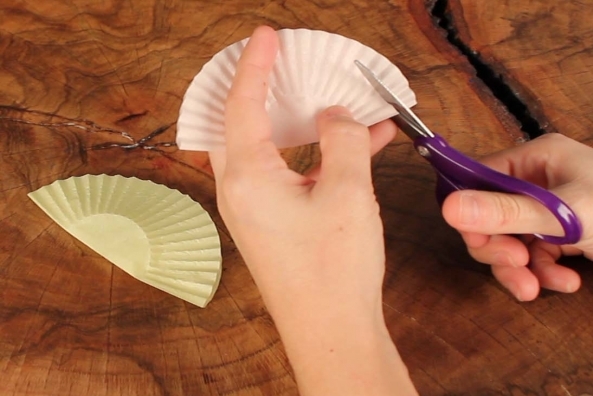 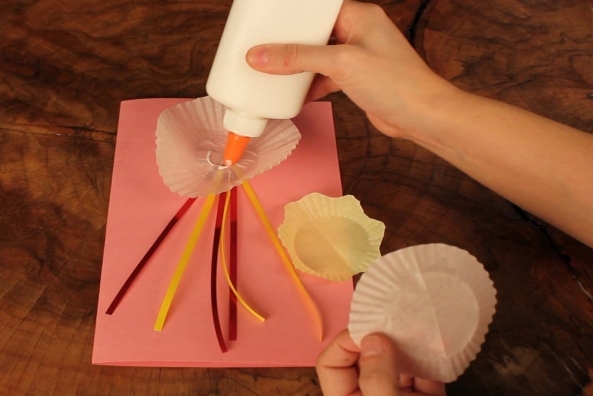 Glue a cupcake liner that wasn’t cut over the taped part of the ribbon. 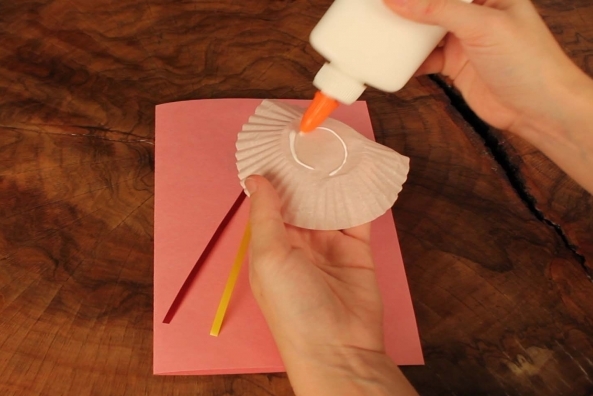 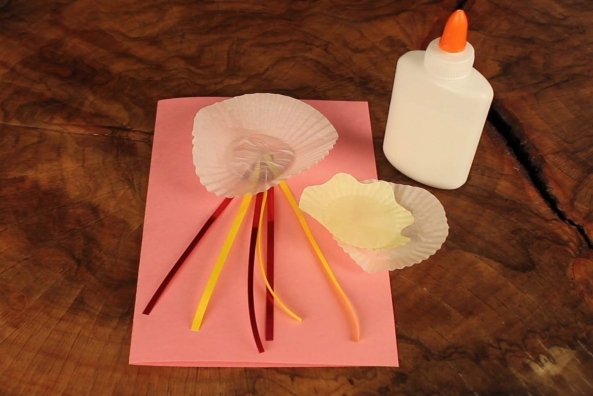 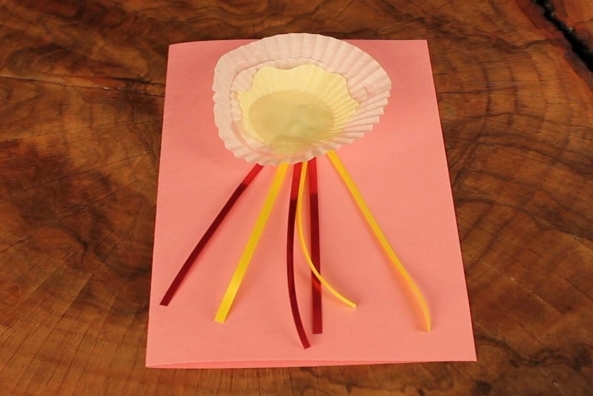 Layer the two cut cupcake liners on top of the uncut on and glue down. 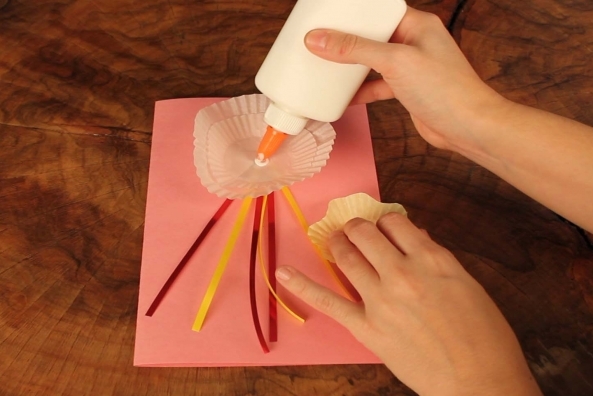 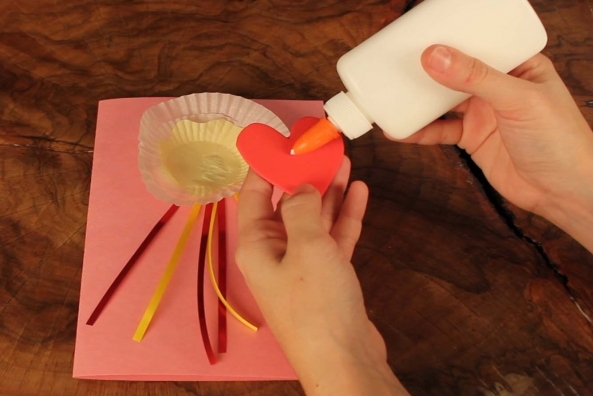 Glue the red heart on top of the cupcake liners. 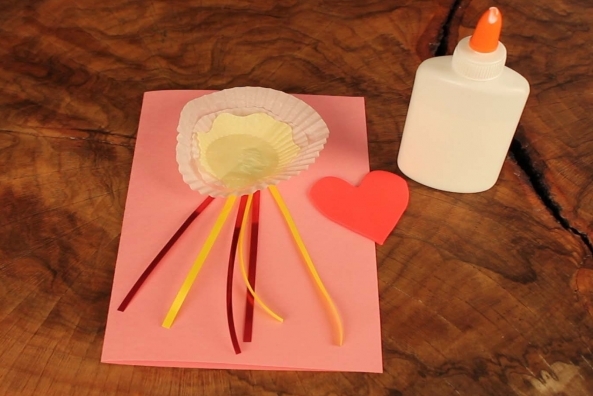 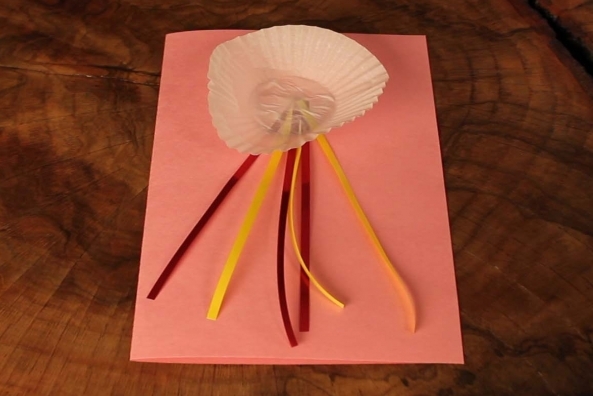 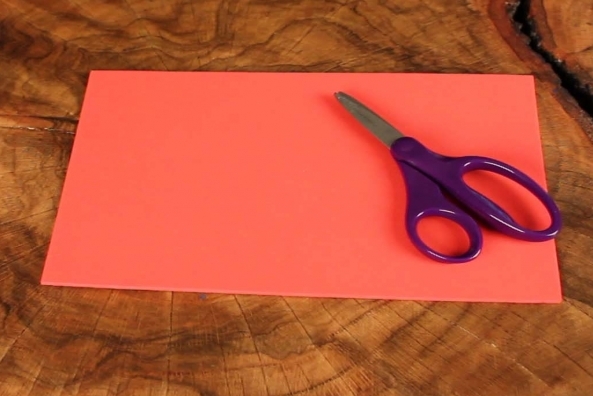 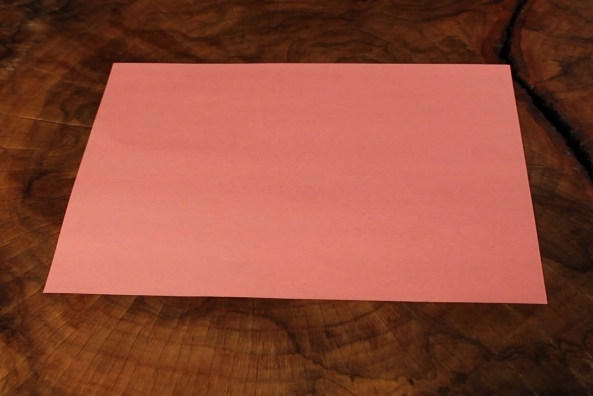 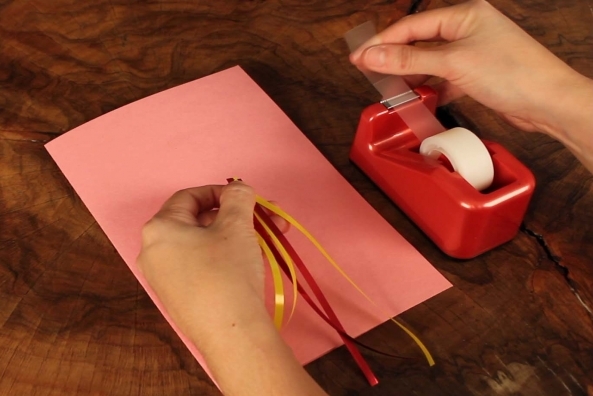 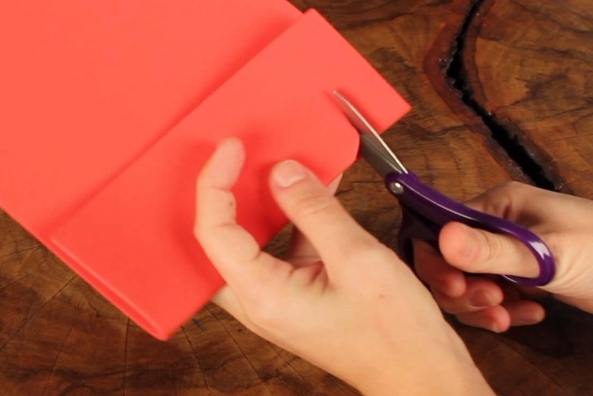 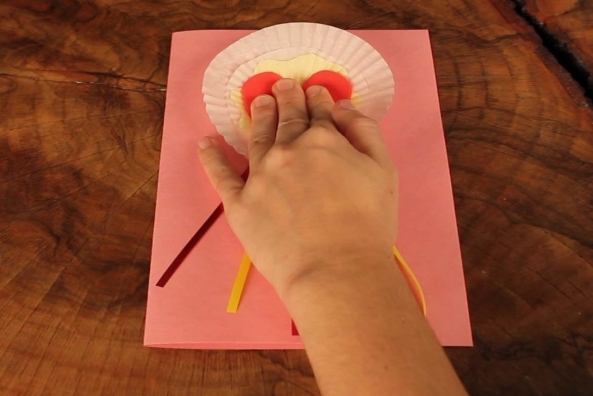 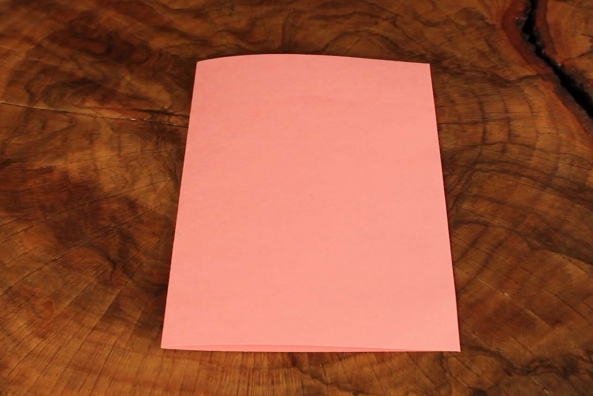 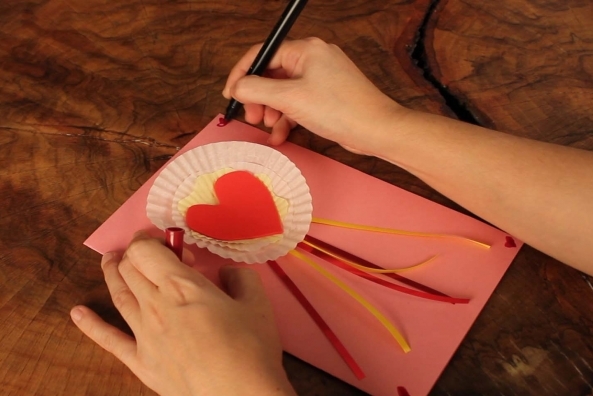 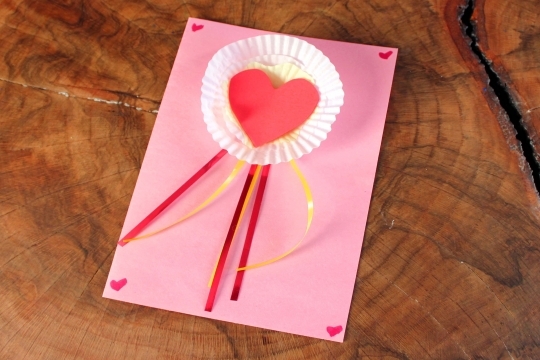 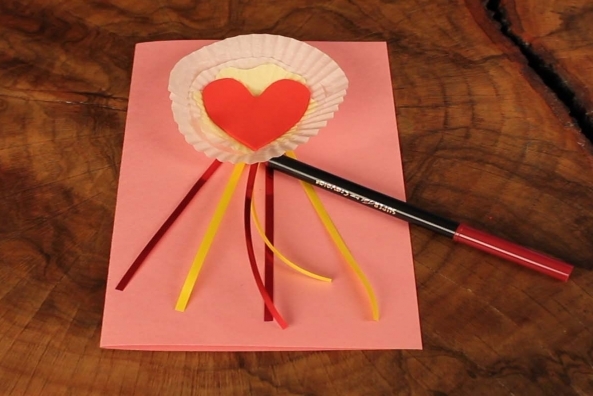 Decorate the card with markers and write a Valentine’s Day message.